More than 15 rooms are open to visitors and you should allow at least an hour to make the most of your tour. 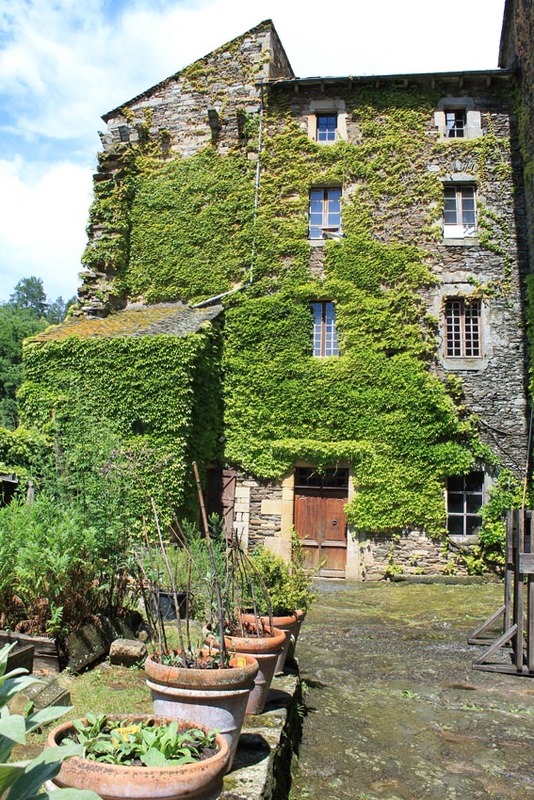 Built on a rocky outcrop in the centre of the village of Coupiac, the castle consists of two wings at right-angles to one another with three round towers. Access to the central courtyard is through an imposing gateway surmounted by the coat of arms of the Castelpers-Panat family. A small medieval garden shows the plants used in the middle ages (medicinal, dyes, simples and herbs for cooking). From the courtyard, you enter the castle through the reception area and the souvenir shop before starting the visit of the various rooms. 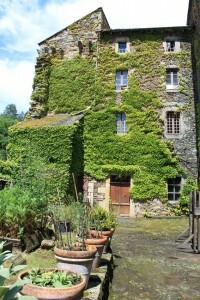 In the northern wing is the keep, with a spiral staircase, and a 16th century corps de logis. The ground floor of the keep contains the kitchen with its stone sink, stone cooking range, pastry oven and huge fireplace. The east wing consists of very large rooms on three levels: the vaulted “cellar” on the ground floor with a small video projection room and access to a postern door visible through a glass floor, the banqueting hall with its table dressed for a feast and the second-floor apartments with mullioned windows and a Gothic rose window. A second spiral staircase serves these rooms and leads up to the guard room with its 15th century fireplace and an unusual rotating loophole. The dominant architectural style is flamboyant Gothic, for example in the ribbed vaults decorating the rooms on the first floor of each tower. 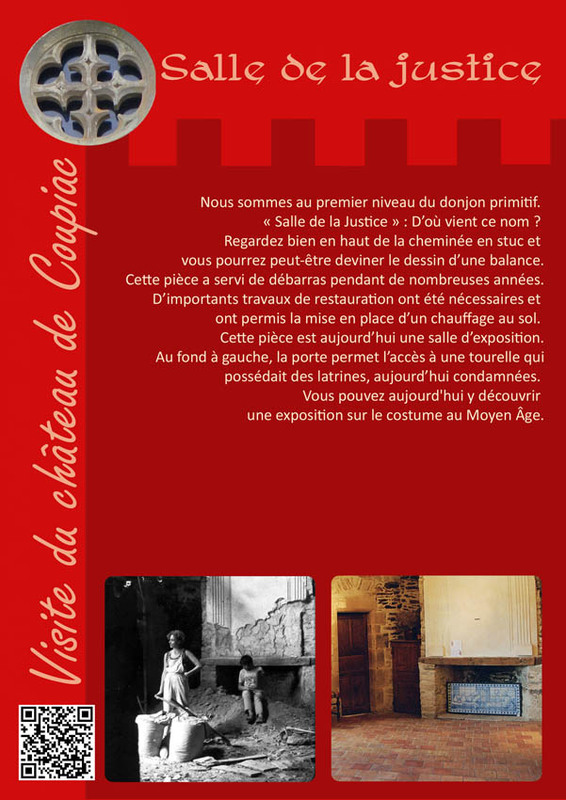 Although it was built at the end of the middle ages, Coupiac castle is on the cusp of the Renaissance. It was a residential castle. The main role of the defensive elements of the building is decorative, for example the remains of the machicolations on the sentries’ walkway or the embrasures overlooking the entrance. 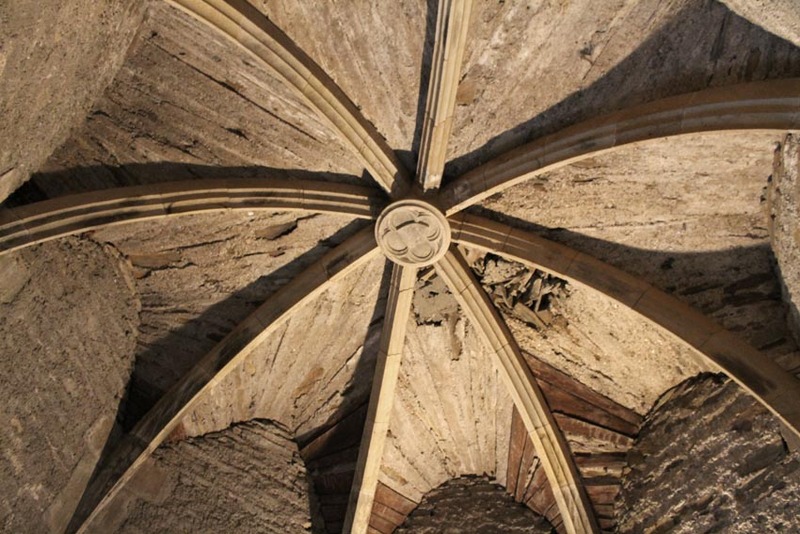 The castle has also undergone many changes over the centuries: in the 18th century, a wooden gallery that went around the courtyard and the sentries’ walkway were demolished, the windows enlarged and the fireplaces decorated with stucco using floral motifs. Using a plan to indicate your whereabouts within the building, you can visit the castle’s rooms in whatever order you like and in your own time. 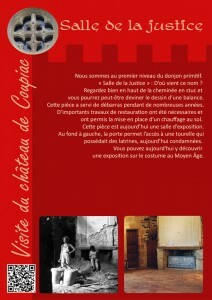 Information about the castle and its rooms is supplied on information panels throughout the visit. 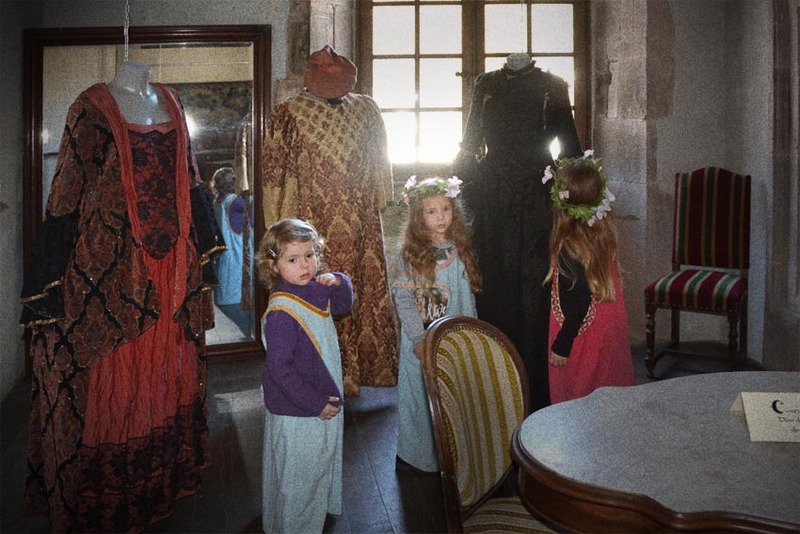 They describe the architecture and history of the castle and sometimes include stories about what has actually happened here. These panels are in French, English, Dutch and Occitan. The reception desk can also supply translations of the panels into Spanish, Italian and German. A bonus for owners of smartphones: the panels contain QR codes (Flash codes) that enable visitors to listen to a recording of the text, the smartphone thus becoming a veritable audioguide. Each room is furnished according to its function in the Castle. In addition, we have included exhibitions about life in the middle ages in various rooms of the castle.